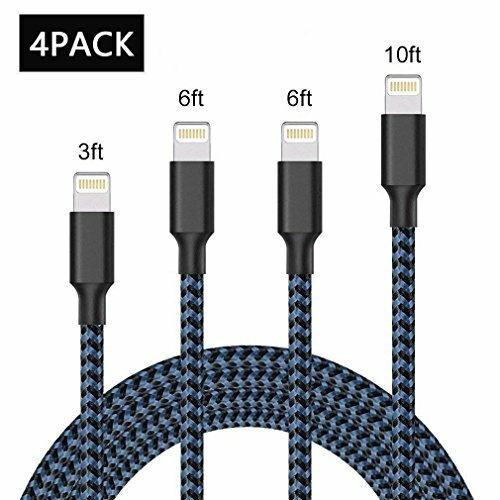 FAST CHARGE & DATA SYNC IPHONE CHARGER CABLES: Support fast charge (5V/2A) and high-speed data transfer (480Mbps). 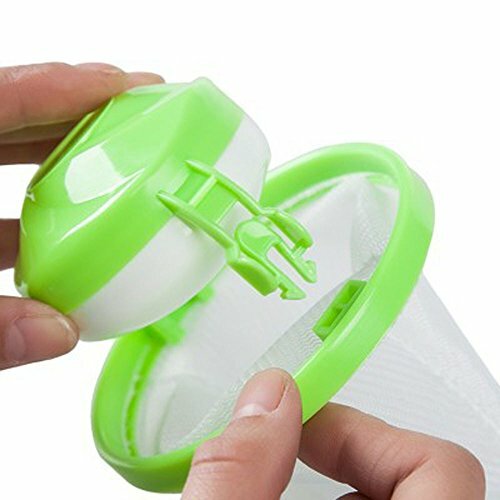 SAFELY CHARGING & BATTERY PROTECTION: Smart chip control ensure charge safety and protect your battery. 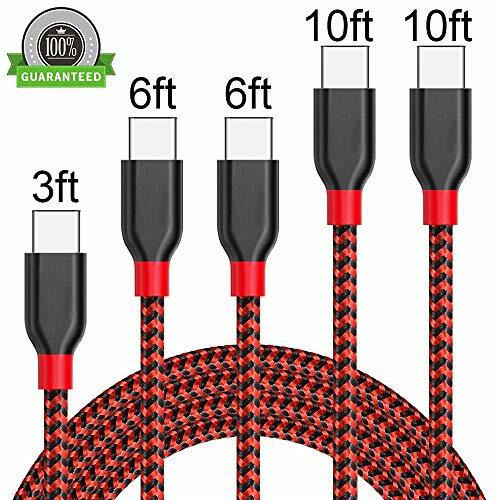 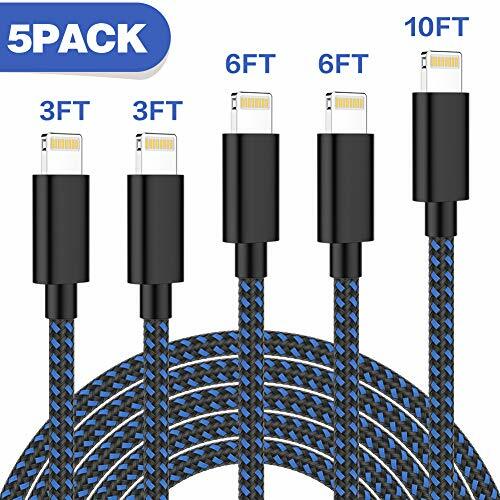 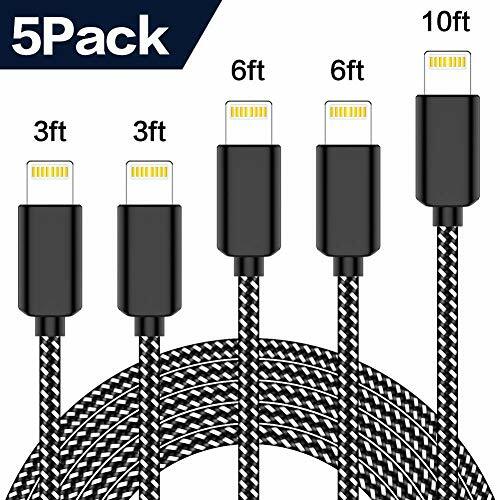 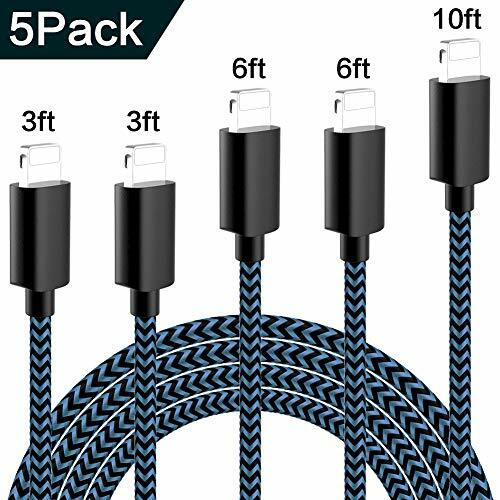 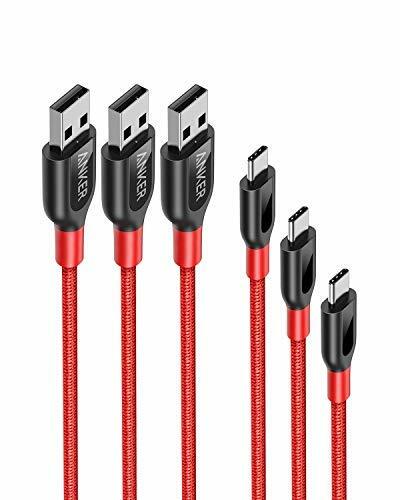 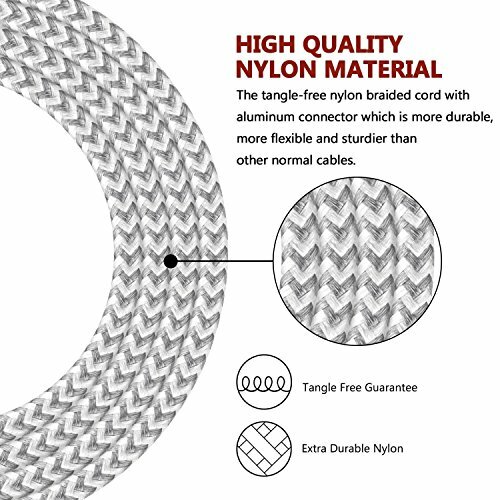 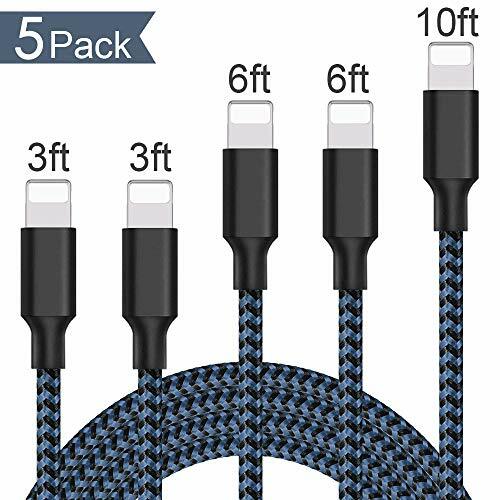 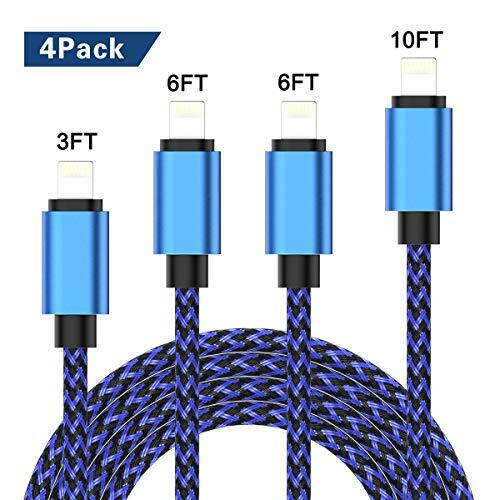 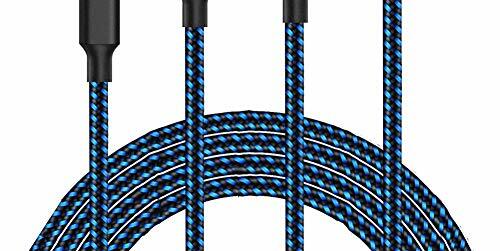 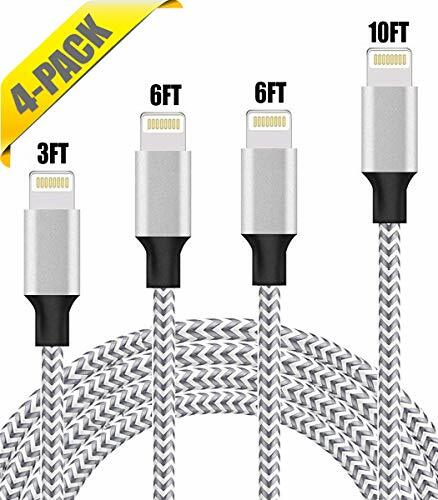 LAST LONG LIFE & FIT TIGHTLY WITH PHONE CHARGER PORT: 8 pin extra long charger cable features an ultra-durable nylon-braided jacket with a bend lifespan of 4000+, plus lifespan 7000+ to prevent the cord from breaking at the connector and do a good job staying plugged into the device. 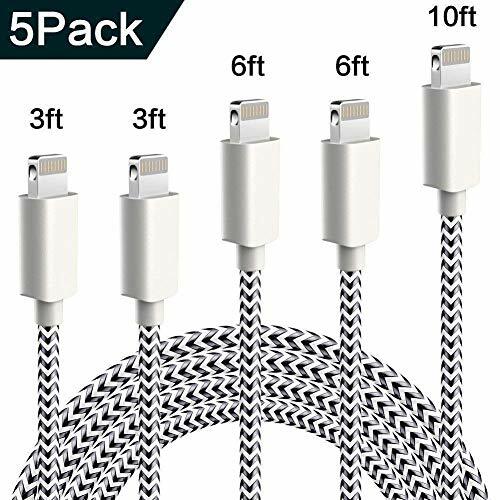 SUPPORT & WORK RELIABLY WITH ALL APPLE DEVICES: Support IOS 7, 8, 9, 10, 11 and compatibility with iPhone X/8/8 Plus/7/7 Plus/6/6s Plus/5s/5c/5, iPad Air / Air 2 / Pro, iPad mini / mini 2 / mini 3 /mini 4, iPad (4th generation), iPod nano (7th generation), and iPod touch (5th generation). 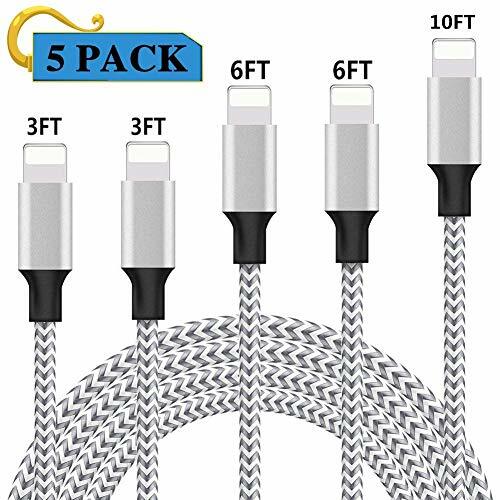 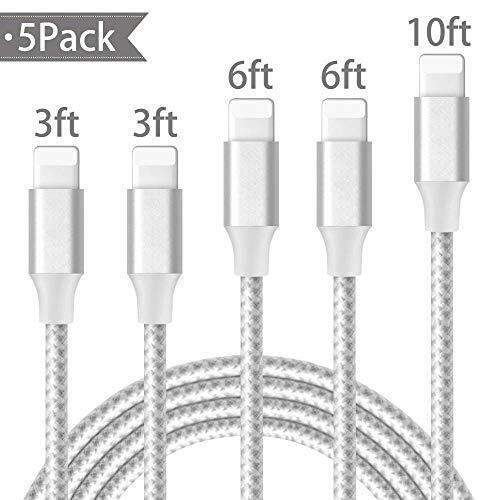 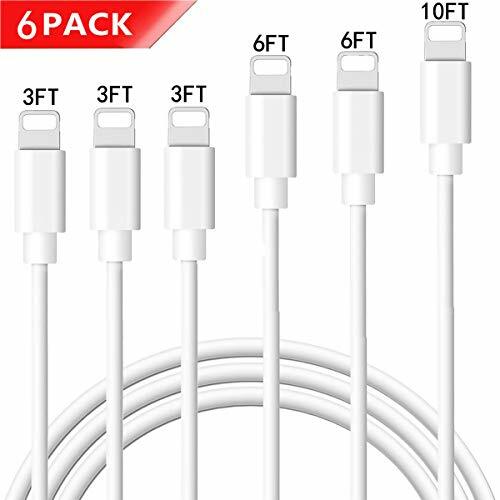 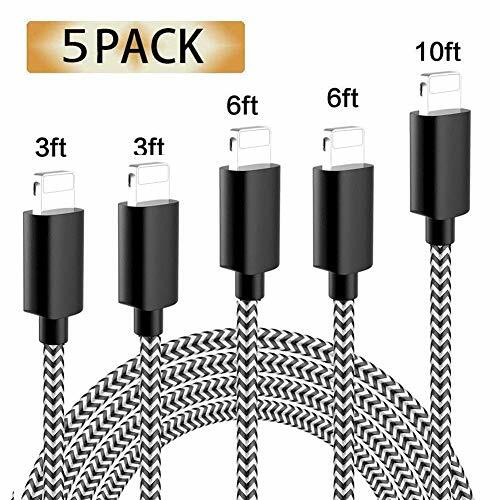 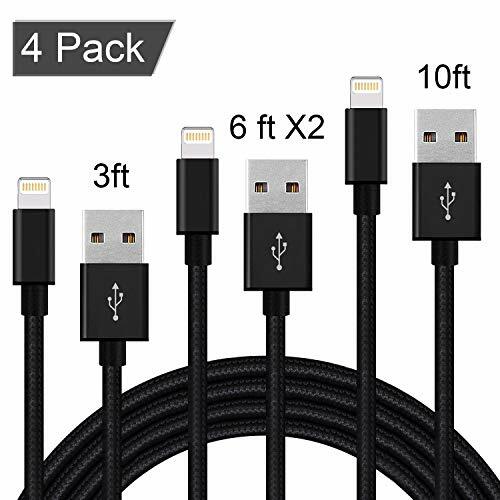 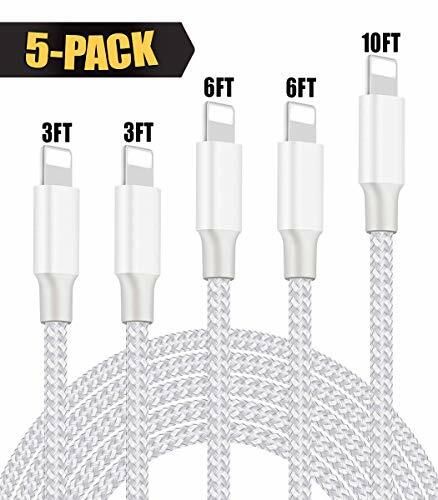 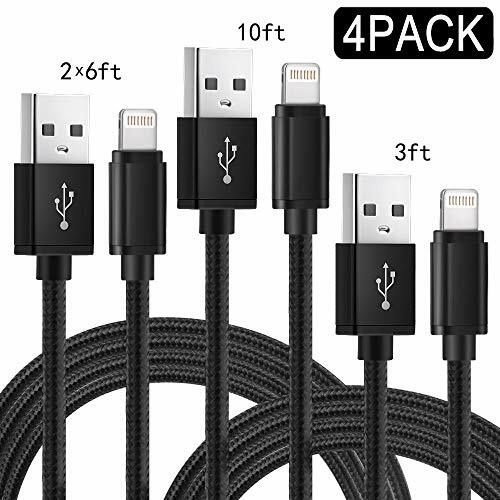 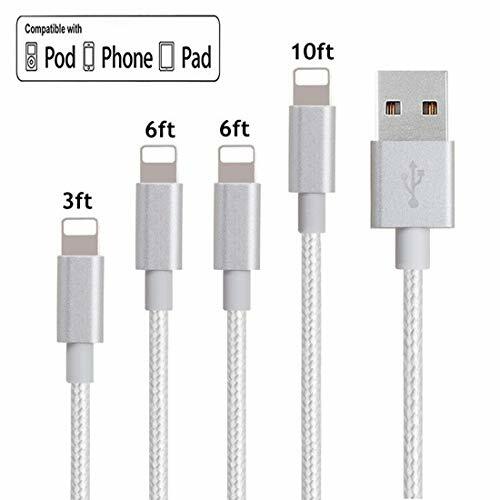 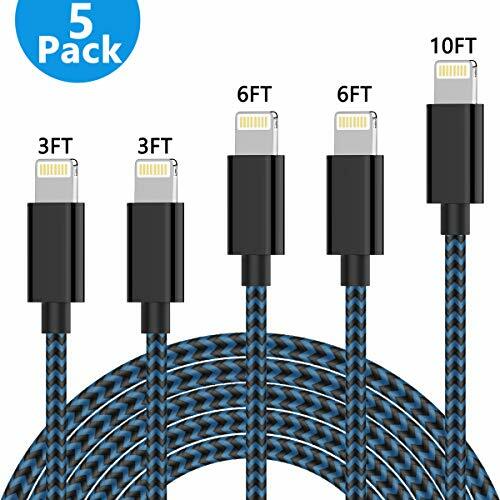 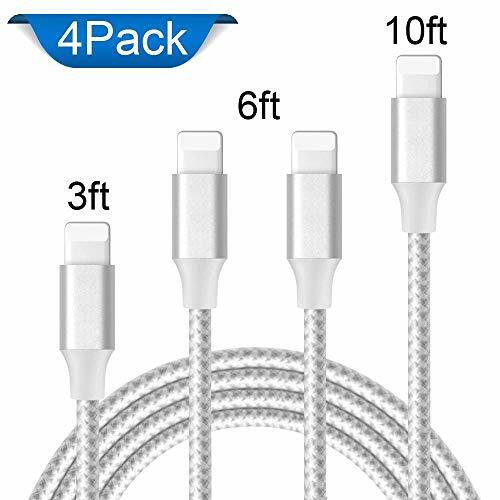 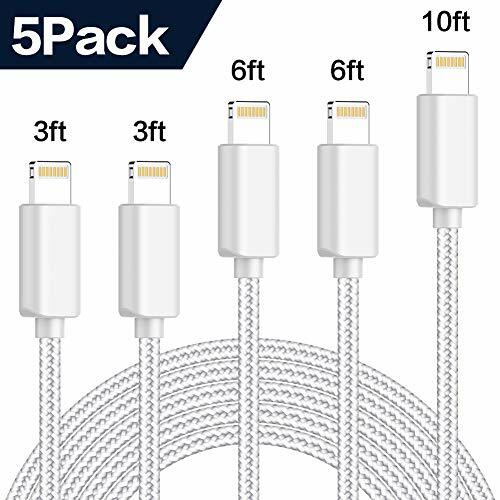 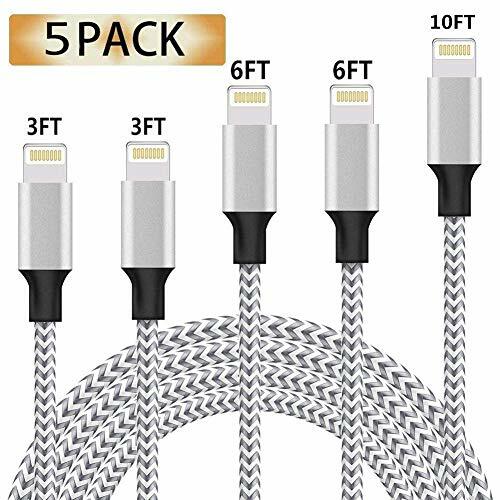 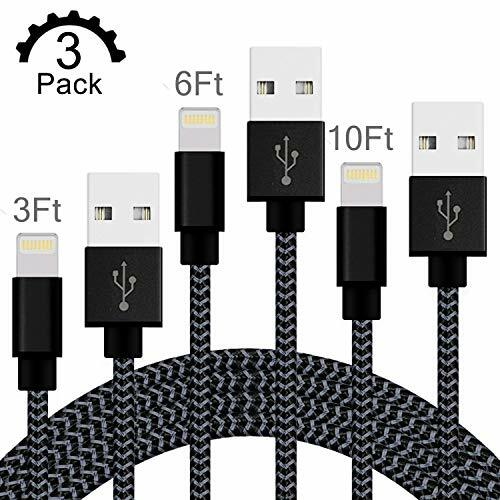 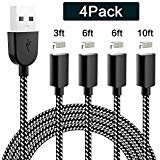 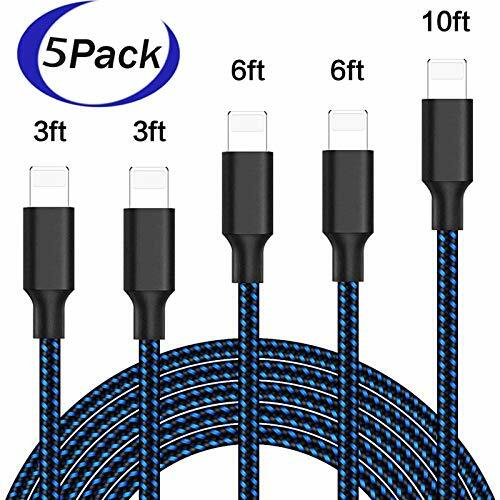 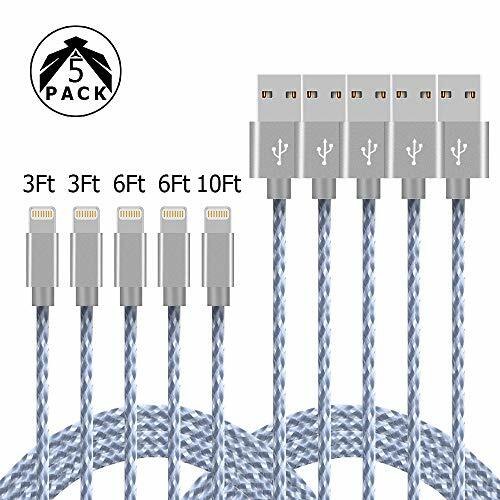 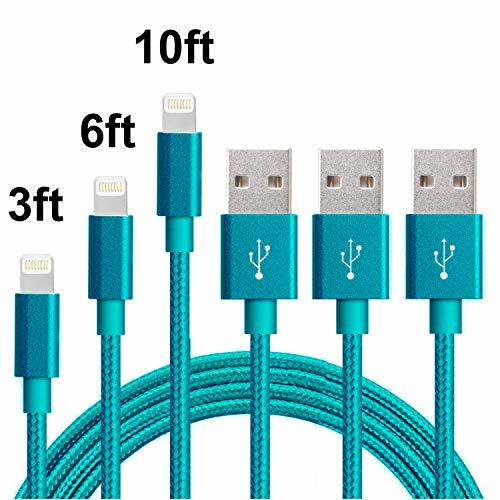 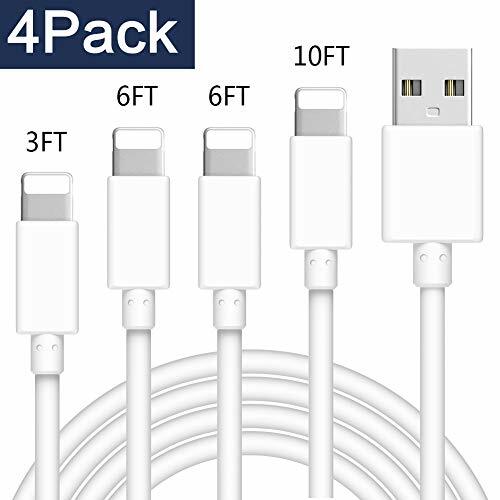 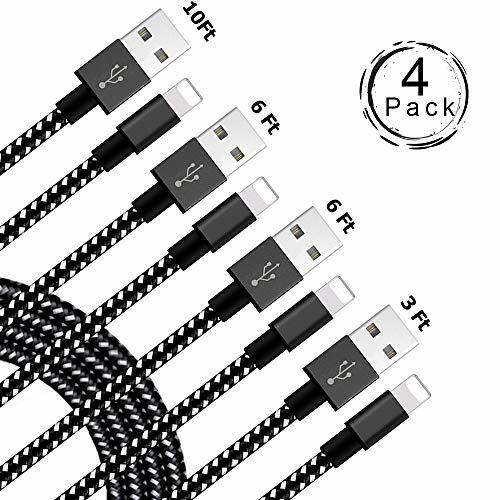 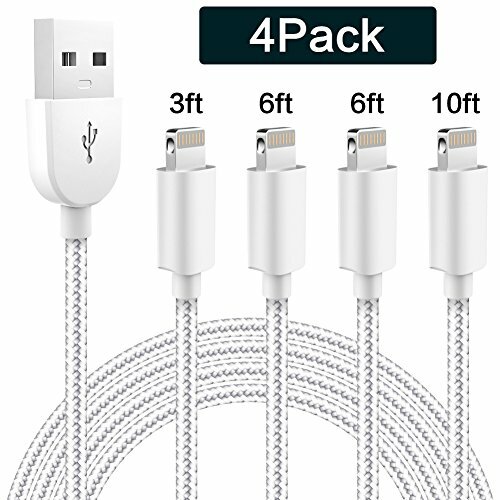 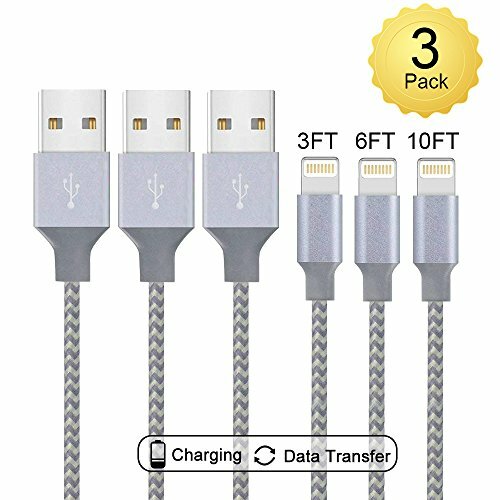 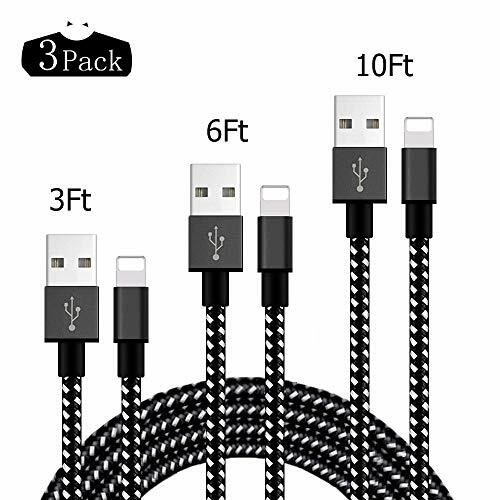 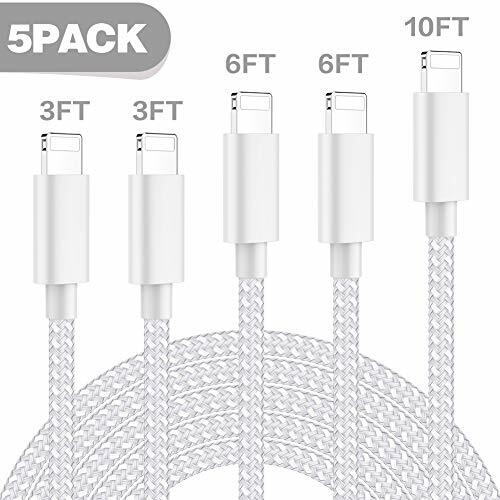 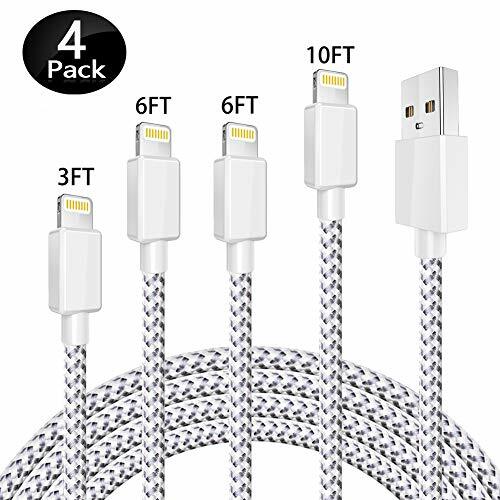 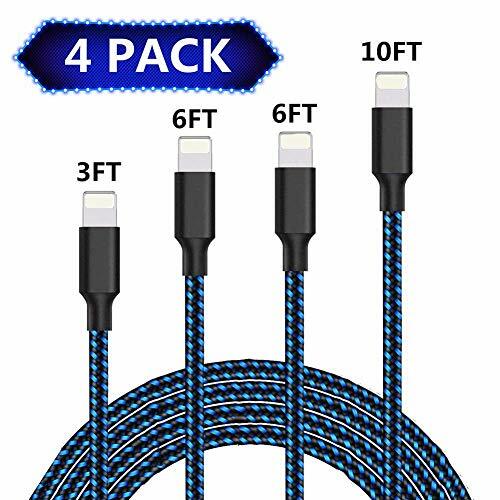 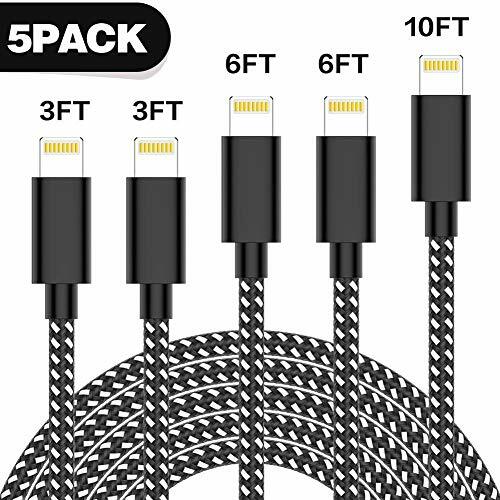 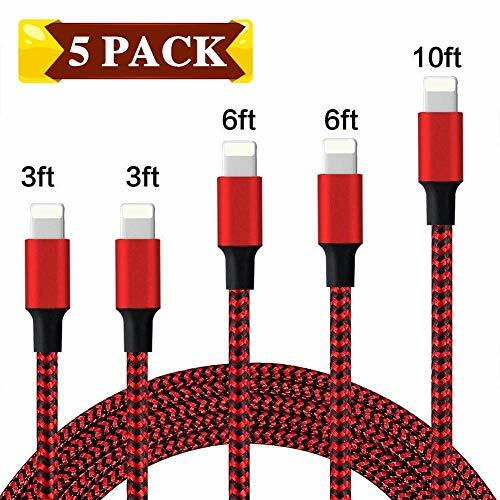 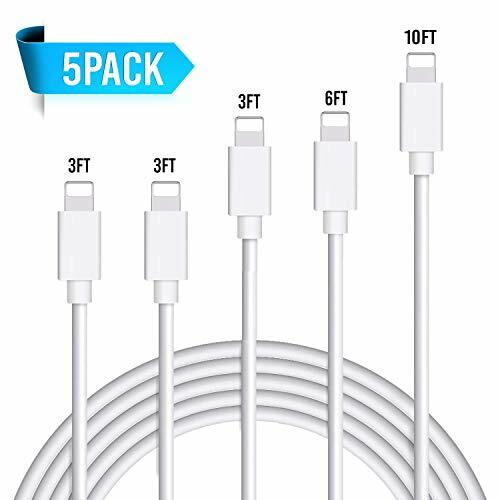 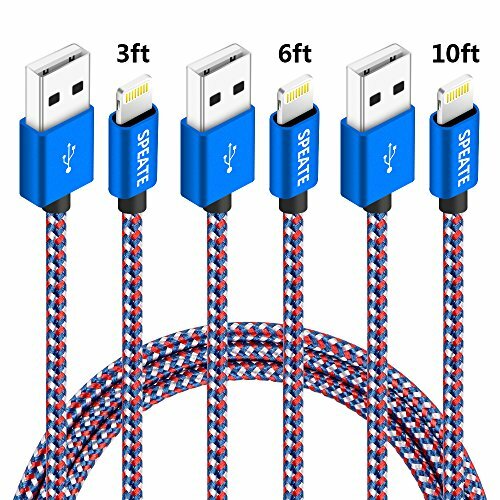 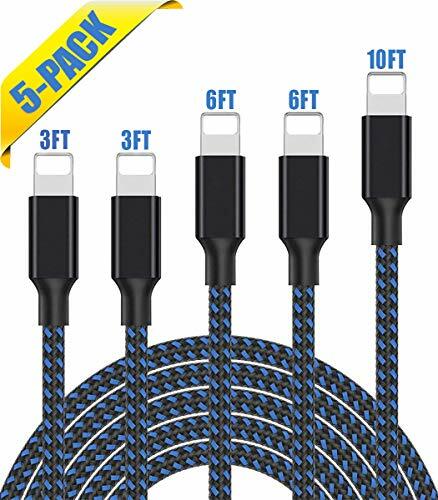 ASSORTED LENGTHS & 12-MONTH WARRANTY: 4Pack(3FT/6FT/6FT/10FT) lightning to USB charging cords. 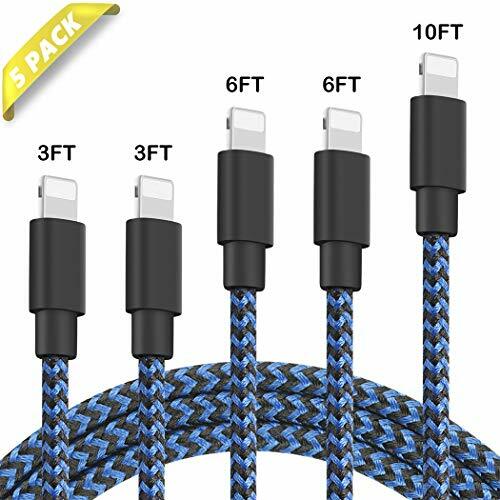 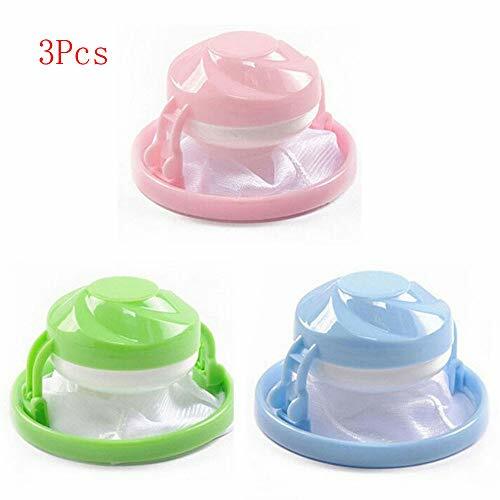 Easy to carry, It suits every occasions, home, office, car and so on.The cord should never malfunction or stop working, but on the rare occasion it does you are covered by a 12-month guarantee.